Over the past several months, I’ve been on a bit of a rampage on sales and marketing automation tools. Some of my friends in those companies might be thinking, “What’s gotten into you Dave? Why are you turning your back on us?” Others of you may think I’m from the stone ages, and should just crawl back into some cave and be quiet. In reality, I’m an advocate for leveraging tools and technology where we can achieve great gains in productivity, effectiveness, and customer engagement. In the hands of great sales people, these tools have the potential of amplifying top sales performers capabilities tremendously. We’ve seen sales teams leveraging tools with great impact and amazing results. All of the vendors can provide case studies reinforcing this. Unfortunately, the majority of cases I see, are far from this. Too many of the tools provide marginal or no performance improvement. Rather than building the capabilities of sales people helping them become better, they become crutches. 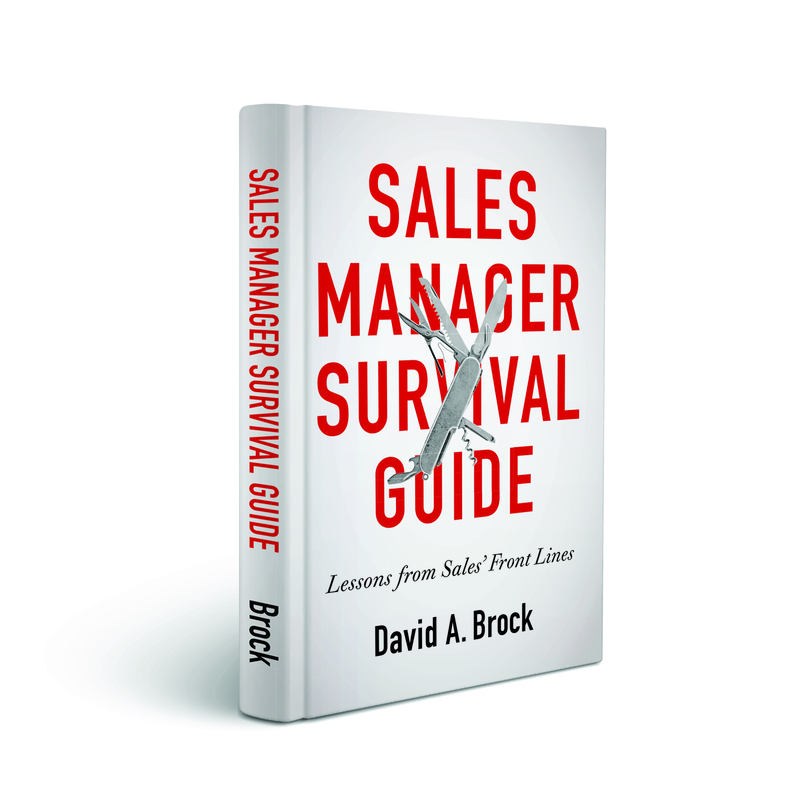 Sales people and managers come to rely on the tools as surrogates for developing strong sales capabilities, higher levels of impact and effectiveness, and thoughtful approaches to engaging our customers. Perhaps, not by design, but in implementation, these tools and new sales enablement capabilities have the effect of “dumbing down the sales person.” Not long ago, I wrote about how my car now provides many capabilities that dumb me down or make me less attentive as a driver. It’s clear the automobile industry is driving (so to speak), to a future where cars are autonomous and driverless. A lot of that makes huge sense (except to those of us who love driving.). We get far greater utilization and efficiency of highway/road infrastructure, we have far fewer accidents. If one were cynical, conspiratorial, or even a thoughtful manager — similar thoughts about application of these tools in sales and marketing might come to mind. In many cases, that world is here, retailing today looks very different because of Amazon and other web based suppliers. In B2B, many of the simpler transactions have moved to the web, eliminating the need for sales people. In complex B2B sales, where the human factor is critical in engaging the customer on their buying journey, we have to think about the possible unintended consequences of leveraging these tools improperly. Are we leveraging these to help reduce complexity and drive simplification–both for our sales people and customers? Are we leveraging these tools to improve the depth, substance, and quality of the interactions we have with customers? Are we leveraging these tools to improve the value we create with our customers and prospects? Or are we instead “dumbing down” the sales person, making them less effective in engaging the customers, but offsetting this with higher volumes of interactions, playing a stupid numbers game? Are we, instead, using these tools to displace deep interaction and engagement with our customers—even though that’s exactly what builds trust, meaning, and engagement with the customer? In truly complex B2B sales, our customers are hungry to learn, they are hungry to be engaged. They struggle to buy, actively seeking help in learning how to buy from suppliers and trusted partners. It’s this deep engagement that creates great value and differentiation. Again, if I were cynical, I might say, “I want to implement these tools which promise to make my sales people better. But instead of making them better, I can leverage lo I want them to be just OK or good enough. I probably could get away with far cheaper people.” As a purposeful strategy it makes a lot of sense. But companies aren’t getting to the cheaper part. They aren’t dumbing down or downgrading the sales organization, but they’re paying the same, just expecting less performance. Few vendors have a sales strategy that says, “Buy my tool and dumb down your sales people.” Most sell their tools to make sales people better. Yet bad/sloppy implementations, poor leadership end up getting the unintended effect of dumbing down the sales organization. As managers and leaders, we try to manage the cost of selling. Usually we focus on improving performance, productivity, efficiency, and effectiveness of our teams. But a hugely powerful opportunity is to keep the same performance levels at far lower costs, leveraging technology, tools, and far cheaper people. Any leader that isn’t examining this is missing an opportunity — perhaps. But then there are our customers, what they need and expect—-yeah, those damn customer just get in the way of all our thinking about sales productivity, costs of selling, and so forth. Our customers, at least in B2B, are hungry for more, they need insight, they need education, they need provocative thinking about their business, they need help. Much is written about customer experience (pre and post sales) as being the ultimate differentiator an value delivery system. To engage our customers and maximize our ability to create value with them, we need smart sales people. There’s another aspect we overlook. Even with the all the hype around AI and machine language, we will never be able to anticipate and manage every situation with every customer interaction. Customers needs, requirements, priorities, attitudes shift throughout their buying process. In interacting with each other and in their evaluation of alternatives, we must constantly adapt to engage them in high impact ways. It’s unlikely, for some years, we can automate this. Instead, we need smart, agile sales people with the capabilities to figure things out and adapt on the fly. We need to be cautious in our attempts to “automate” the sales process. Things that free up our sales people to engage customers in powerful, high impact and high value conversations are great. Those that don’t create a great exposure to our ability to create results. 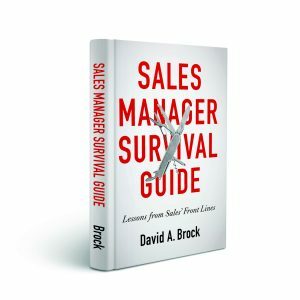 Are We Getting Better As Sales Professionals? 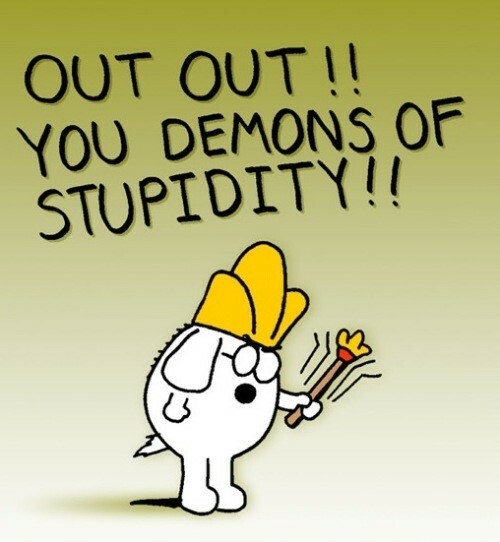 Dumbing down the sales organization and replacing quality with quantity is about the dumbest thing I can imagine. Increasing the speed of getting smart about a customer or prospect? Now that is a good idea. Reducing the amount of time that it takes to develop a hypothesis of how products, solutions and services can help the prospect or customer with what they care about? Another good idea. One thing I will say is this, if you can dumb down the sales side, you eventually will replace humans with apps. Or you will slide into irrelevance. Sorry for the rant, but when you make reps smarter and better aligned with customers…good things happen. One of our customers measured this recently, they saw a 10% reduction in discount. They expect that number to be near 20% reduction in discount in 12 months. Smart beats dumb every time. More pearls of wisdom from Dave Brock. Your blog should be required reading at top universities. The world has indeed changed and the digital transformation is well underway. Unfortunately, we forgot to update the sales model along the way. We are automating a process that is perfectly suited to a world that no longer exists. CRM is a glorified customer database. Marketing automation is an enhanced email system. And forecasting, well you don’t want to go there! Marc Pritchard (P&G) stopped spending $100M on programmatic ad spend with no change in revenue. I’d be willing to bet that if sales stopped entering details into the CRM, there would be no change in revenue. If marketing stopped using the automation system, there would be no change in revenue. Yes, there would be less leads, but if you ask sales that might be a good thing. In this new world, we continue to obsess and automate finding a buyer that’s ready to buy (sales ready) and ignore the “would be buyer’s” that haven’t quite figured out what to do yet. It’s the same old problem we have always had, except now we don’t know who the self-educated buyer is, why they’re interested, what they’ve been doing and thinking and what decision they’re trying to make. Automation tells us they visited our website, downloaded a white paper and tweeted various tweets. Leaving sales to convert a website visitor into a buyer. Good luck with that! If we don’t understand how the self-educated buyer is making a decision then how can automation help the rep influence the result? We must get the fundamentals right before we subject our customers to an automated process. This reminds me of something I learned back in the days of implementing early CRM systems. All of these “tools” are either amplifiers or accelerators. If you have good practices and processes that the tools are designed to serve then you get good results. If you don’t have the fundamentals in place these tools simply let you do bad things faster and louder.